You Are Here: Home > Searching for New or Certified Pre-Owned Cars and Trucks in Oak Park? You have come to the right used car dealer, as well as the right new car dealer, in the area. We serve the residents of Oak Park and the surrounding areas with pride and confidence on which they can depend. We can help each customer get the perfect Jeep Cherokee or Jeep Compass of their dreams. 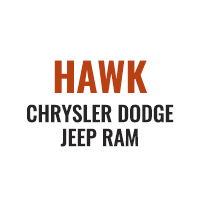 Whether you are searching for a reputable Jeep dealer, Dodge dealer, Chrysler dealer, Ram dealer or even a reputable SUVs dealer, at Hawk Chrysler Dodge Jeep Ram, we are here to help you find the right vehicle to suit your needs. Not only can we help you find the right vehicle by helping you browse our large inventory of cars and trucks, but we can also service and repair those same cars and trucks, right on the lot at our repair and service center. Searching for parts for your Jeep Cherokee or Chrysler vehicle? We can help! Now that you know you can find the right vehicle for you, since we can meet almost any budget, read on for a few of the new and used vehicles you can find at our Oak Park branch of Hawk Chrysler Dodge Jeep Ram. Has your old vehicle finally broken down for good? Are you ready for something new? If so, visit our new and used car dealer at Hawk Chrysler Dodge Jeep In Oak Park, where you can get the vehicle you want for a price you can afford. When it comes to quality, you can’t do much better than a new or used Chrysler. We are a registered Chrysler dealer, offering amazing prices on new and used models. Come to check out what we have in stock today to see if your new or used vehicle is here. In addition to offering amazing Chrysler vehicles, we are also a Dodge dealer. You will find a huge selection of models to choose from, ranging from the newest of the new to older models that are still in great condition. As a cars, trucks and SUVs dealer, we take pride in offering a huge selection to our customers in Oak Park. When it comes to Jeep dealers, we take pride in being at the top. In addition to offering quality selections of some of your favorite models, such as the Jeep Compass and Jeep Cherokee, we are also a pre-owned car dealer, which means our Jeep dealership offers affordable prices. As a Ram dealer, we take pride in the vehicles we offer. In addition to selling you a top-quality vehicle, we also provide ongoing service after the sale. Ready to find your next car or truck with us? Come out to Hawk Chrysler Dodge Jeep Ram in Oak Park and talk to our salespeople. We will have you in a truck or car before you know it, whether you prefer used vehicles or new vehicles, we have the right one for you! If you are searching for a used or new car dealer, look no further than what we have to offer. Contact us today to learn more about our selection in Oak Park.